Tagged KR Album: NEW CHAPTER #1: THE CHANCE OF LOVE, SMTown@CoexArtium, TVXQ! Event period: 2018. 02. 18 (SUN) ~ until out of stock. Event period: 2018. 02. 18 (SUN). 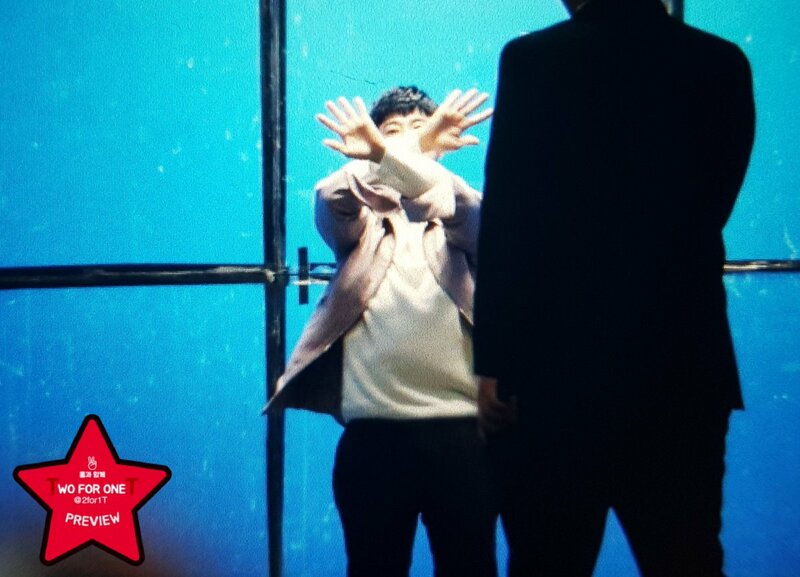 Tagged Changmin, SMTown@CoexArtium, SUM Cafe, TVXQ! 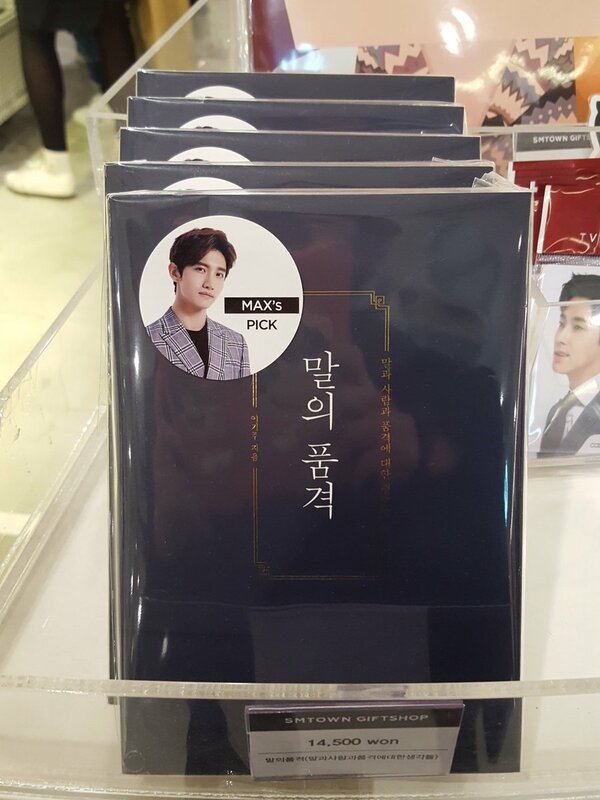 [PIC] 180214 MAX Changmin’s Pick “Dignity of Words” Book Spotted at SUM @ CoexArtium! Apparently, beside the SMTown Seoul announced on the 8th , there seems to be an SMTown Japan in July the 27th and 28th. This is not exactly an official news announcement, but it was heard from SM CEO Kim Youngmin as he was talking with Moon Jaein, a leading presidential candidate, via a livestream. Kim Youngmin: for our SMTown, it’s concerts in Japan on July 27th and 28th where all the singers will appear. [INFO] 170407 Also Another SUM Event: “Welcome Back U-Know Cookie” Starting on 170410~! “Miss you so much”, let’s “Be with U-Know”! 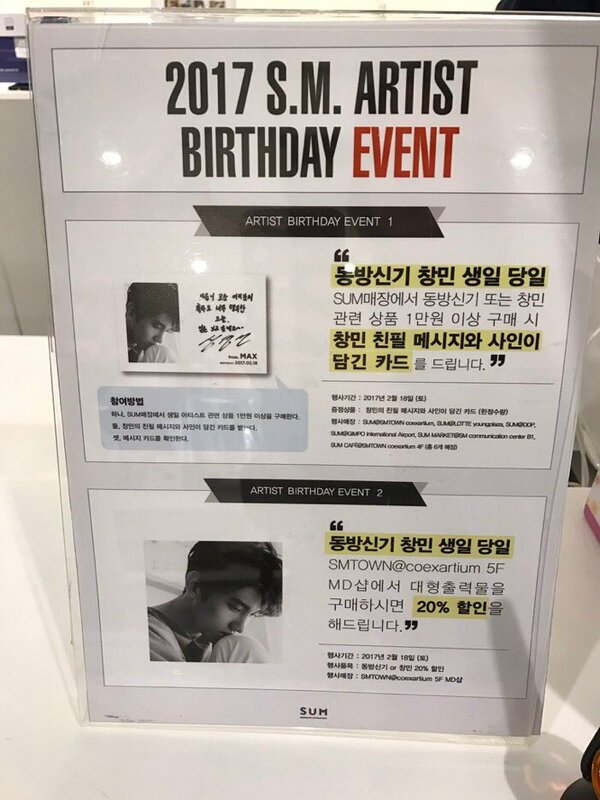 Spend above 10,000₩ on Changmin-related goods and get his written message! Tagged Changmin, SM Communication Center, SMTown@CoexArtium, SUM Cafe, TVXQ! It is two days already for Changmin’s birthday, but it seems that the chairs at SUM Artium has been arranged to say “❤챠밍❤” which is read Chya-ming, same as Charming!